'Nowhere to hide' for tax avoiders Jump to media player UK Prime Minister David Cameron has said countries will work together to ensure companies pay 'proper' levels of taxes. 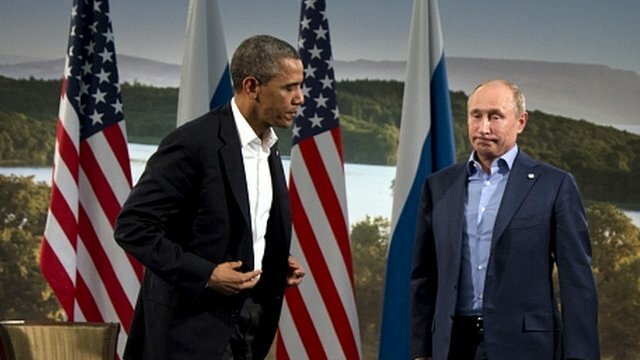 US and Russia 'differ' on Syria Jump to media player Russia's President Vladimir Putin has come under pressure from western leaders at the G8 summit to agree a joint statement on Syria or face isolation. 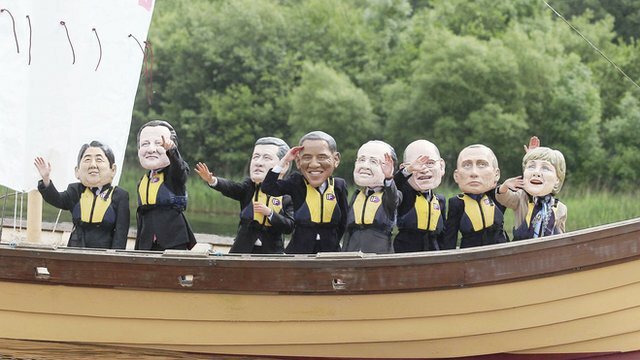 G8 summit 2013 first day highlights Jump to media player BBC Newsline compiled a selection of the highlights of the G8 summit's first day in Fermanagh. 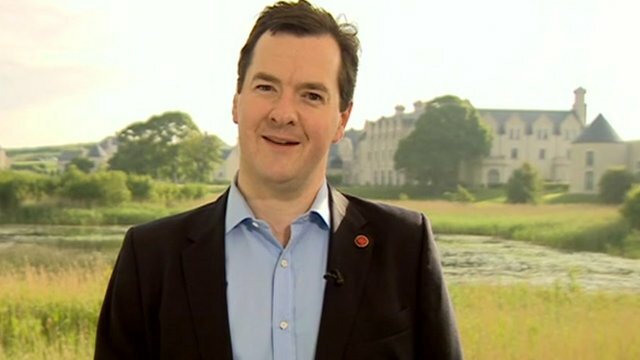 No ties at 'informal' G8 summit Jump to media player Chancellor George Osborne admits he has been told not to wear a tie at the G8 summit to create a more 'informal' atmosphere. 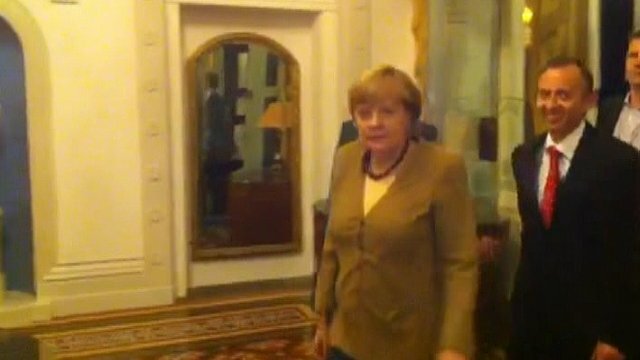 German Chancellor heads across lough Jump to media player BBC reporter Kevin Magee found himself in the company of one of the G8 delegates as German Chancellor Angela Merkel arrived to meet journalists from Germany. 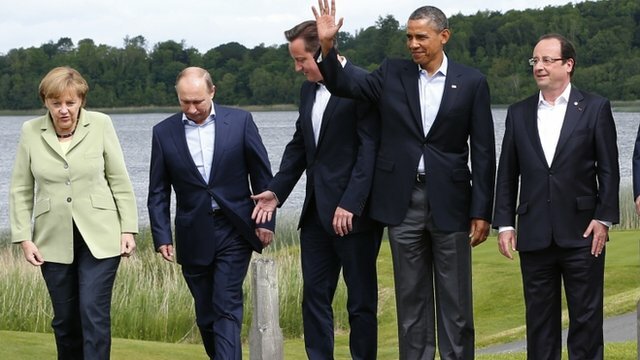 G8 backs urgent Syria peace talks Jump to media player After two days of talks the G8 summit has drawn to a close in Northern Ireland, with world leaders signing up to a broad agreement on Syria. 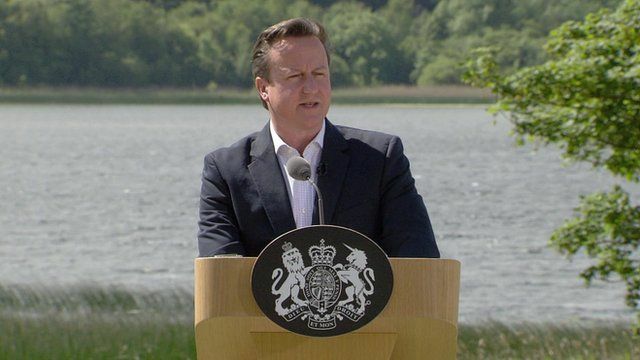 UK Prime Minister David Cameron has said countries will work together to ensure companies pay 'proper' levels of taxes. 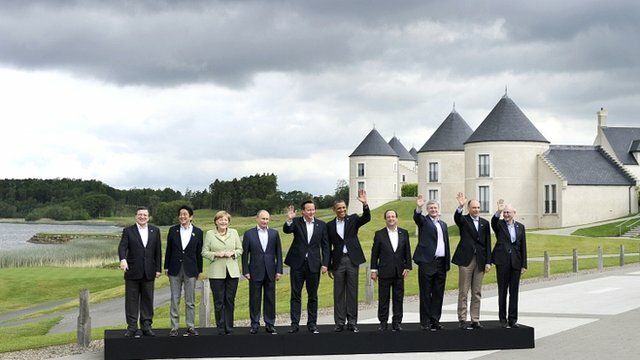 Speaking at the G8 summit in Lough Erne, Mr Cameron said that there would be "nowhere to hide" for those who avoid paying.